Longing for a short summer retreat? 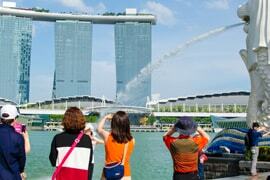 The marvelous city-state of Singapore is a destination full of unequaled charm, flair, and romance. So, go ahead and book our Summer Thrill which ensures an impressively cherished break for individuals, families, and groups alike. 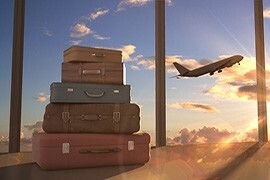 On this three night Singapore holiday, we’ll arrange your lodging in your desired best-value or luxurious hotel, besides offering all sightseeing and transport solutions. For an overall impression of a mix of the region’s dynamic modern and cultural highlights, you’ll first set out for a well-planned city tour with one of our local experts, who will regale you by providing interesting as well as lesser-known facts about the attractions covered in the tour program. Get to take in the urban sophistication of Singapore with a stop at Merlion Statue, majestically overlooking the extraordinary and cutting-edge sights peppered across Marina Bay. Tour Fountain of Wealth, Suntec City, and Orchard Road, apart from soaking up the unique sights and flavors along the busy yet unbelievably charming quarters like Chinatown and Little India. 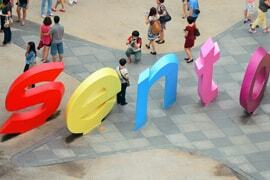 Your Summer Thrill also includes half day Sentosa Island tour, which is certain to delight both youngand young at heart! A cable car ride will captivate you with the magnificent panorama of the whole of the island. The legendary Madame Tussauds Museum,Wings of Times, and Luge & Sky Ride are other attractions to look forward to on your island tour. Booked this tour as a gift for my son and his new wife as a wedding gift. They were absolutely thrilled and had a great time. They said that the arrangements were more than perfect. Thank you Rayna Tours for such a great tour package. Keep up the good work! It was a perfectly planned holiday! Last summer we had the best holiday in Singapore, thanks to Rayna Tours. It was my wife's first international holiday and she was thrilled. 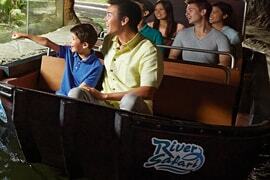 We had a fun time at Sentosa Island and River Safari Park. The city tour was informational; our tour guide was knowledgeable and courteous too. He politely answered the questions we had about the places we saw or visited. I give this tour a 10/10!